The avocado makes me so happy! I think it's obvious I'm slightly obsessed with them, as I make them as pins, Christmas ornaments, barrettes, necklaces, every way I can think of! 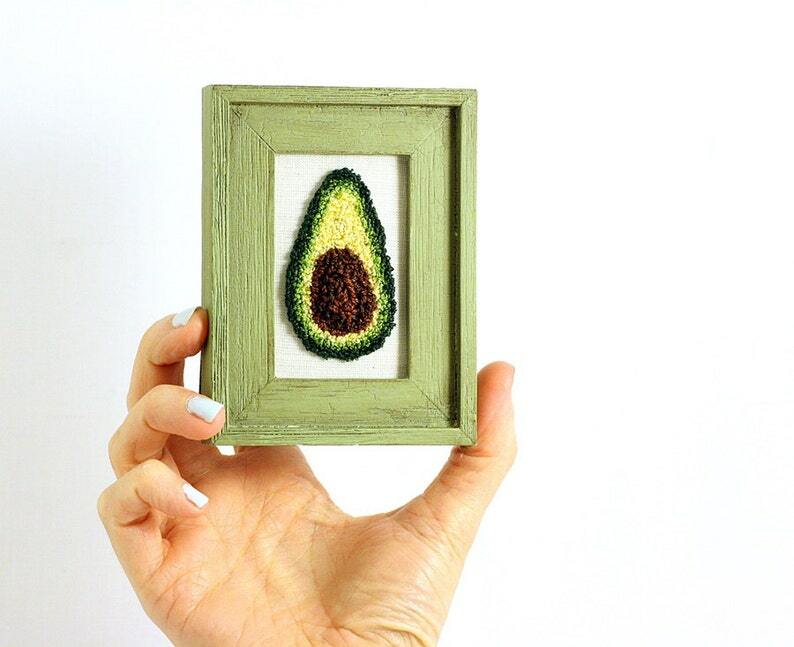 Here's a wee avocado in a mini frame - it's just 3" wide by 4" tall, overall. The window for the art is an adorably wee 1 1/2" wide by 2 1/2" tall. 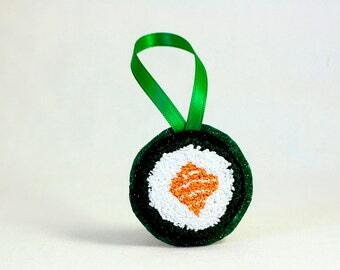 Would even make a great stocking stuffer! 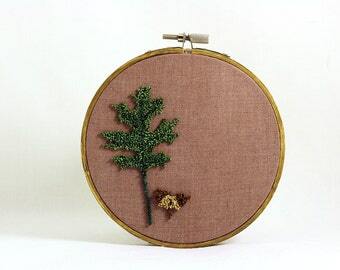 I created this miniature avocado using punchneedle embroidery, which is akin to an ancient rug hooking technique on a smaller scale. 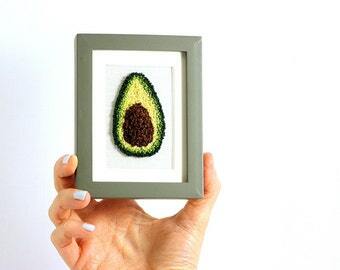 I drew up the avocado on weaver's cloth and used my adjustable needle to create the realistic dimensional effect. By slowly increasing the height of the needle, the pit becomes incredibly realistic work of art! 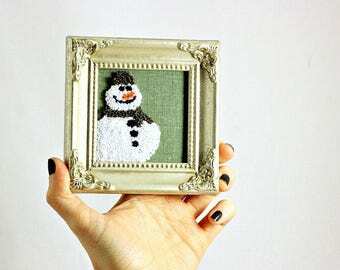 This teenie tiny wall hanging version would be a perfect addition to an office, kitchen, or super fun for a quirky dorm room. A great gift for an avocado lover or a dietitian!